When a person passes away, his property is generally placed into an estate and goes through probate. Probate is a process in which a court assesses the validity of a will, appoints someone to oversee the management of the estate, ensures the deceased person’s debts are paid, and makes sure all remaining estate property goes to the proper beneficiaries of the deceased. Part of that process may require the sale of assets that are in the probate estate. There are several reasons why a probate sale may be appropriate. If the deceased left a lot of debt, the estate may lack the cash to settle those obligations. As a result, the executor may have to sell property to obtain the necessary cash. In addition, the deceased’s beneficiaries may prefer the property is sold instead of receiving the actual asset. Or, the deceased’s will may require the property to be sold. Finally, if the deceased left no will, the probate court may require the estate administrator to sell the property in order to make distribution of the assets easier. What probate assets can be sold is an important question when the estate has a lot of debt and a will gives specific assets to named beneficiaries. While state law generally determines which assets should be sold first to settle debts, generally the last group of assets that can be sold are any specific gifts made to specific people, for example, a decedent's engagement ring left to her daughter. The second to last group of assets that can be sold are gifts paid from a specific source, such as if the decedent left an heir $50,000 from a named bank account. Any gift that is generally described and does not come from a specific source, such as $100,000 to an heir, is the next asset type used to settle debts. All other assets, which are those that are not specifically referenced in the will, should be sold first to settle any debts. To initiate a probate sale, generally the administrator of the estate has to petition the probate court for permission. The administrator must present the court with an inventory of the estate’s assets, along with the appraised value of each asset. If the court agrees that the sale is necessary, the court will allow the administrator to start the sale process. Once an offer is received, the sale is conditioned on the approval of the probate court. 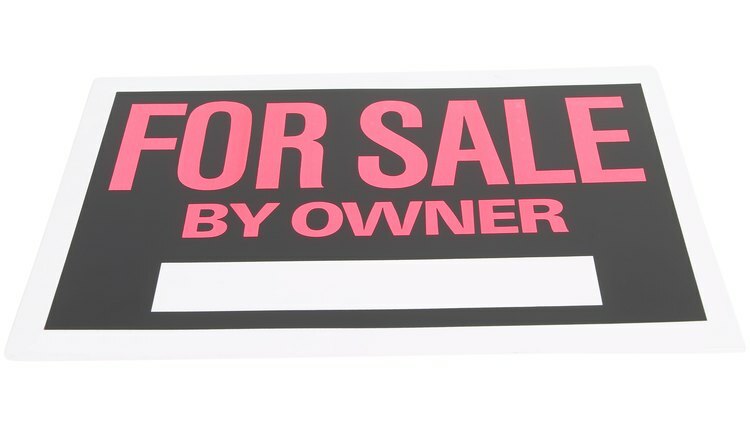 Prior to the hearing regarding the offer, the administrator generally must publish an ad, stating what is being sold, when the hearing is being held and the value of the current offer. Disclosure of real estate property includes the property's condition, any entailed encumbrances, appraisal, price, interest rate and tax certification, among other requirements. Other prospective buyers can attend the hearing, bid on the property or challenge the sale in court. The court will approve the sale of the property to the highest bidder. For the administrator and estate, executing a probate sale can be expensive and time consuming, and beneficiaries could be dissatisfied with the result of the sale, leaving the administrator open to a lawsuit. For the buyer, a probate sale offers an opportunity to get a good asset for a low price. FoxBusiness: What is Probate Sale and Why Would You Want to Buy it? Bob Blumberg: How is a Probate (“Estate”) Sale Different? “Probate” is a term used to describe the legal process of distributing the estate of a deceased individual, and it involves the appointment of a probate judge who is tasked with supervising the distribution of the decedent's assets. Whether or not probate is legally necessary will depend on several factors. Under the right circumstances, the beneficiaries may properly decline to probate.